OK, here comes the truth. I signed up for 12 reading challenges this year, knowing full well that I would be unable to finish them all. But it was meant to challenge me, right? I was challenged and finished 9 out of 12 challenges. Not a bad record, so I’m not going to feel too bad about it. My biggest failure was the 2010 All About the Brontes Challenge for which I read ZERO books by the June 30th deadline. However, I gave myself an extension through the end of the year, and I still only read 1 book of poetry. My second failure is the Vampire Series Challenge. 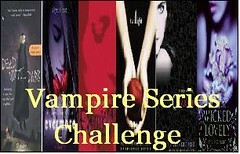 I read 4 books for this challenge, though most of them were in the Sookie Stackhouse Series. I did read the short novella from the Twilight series and the latest Christopher Moore book in his vampire series. I only missed completing this one by 2 books. 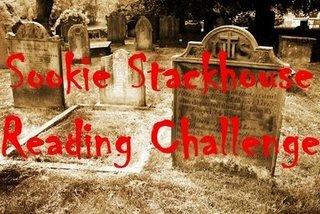 My third failure is the Sookie Stackhouse Reading Challenge, though for this one, I actually read 4 out of 10 books in the series. I’m likely to finish reading all of these books at some point, so I’m sure you’ll see reviews of these in the new year. What challenges did you finish? Which challenges did you fail to finish? The Brontës by Pamela Norris is a collection of selected poems from not only the Bronte sisters, but also certain poems from their brother Patrick Branwell Brontë. According to the introduction, Patrick Bronte was a good poet, but did not reach the level of sophistication of his sisters. Emily Brontë, according to Norris, is the most accomplished of the poets in terms of grasping meter and other components of poetry. Anne Brontë is the most accessible, and readers often find it easier to emotionally connect with the poet. Charlotte Brontë‘s poems often resemble her novels with their passionate women and abrasive men, but Norris says her narrative style can often overwhelm the poem and obscure its meaning. The collection begins with a selection of poems from Charlotte, and many of these poems are bogged down in narrative, poetic prose, but the meaning of the poems are not completely obscured. In fact, the selection of poems offer a sense of longing and despair topped with a current of optimism and rays of hope. In “Mementos,” Charlotte alludes to the precious nature of material objects, which even though tied to loved ones, are now moldy and dusty — long forgotten. In this old closet’s dusty cells. I scarcely think. for ten long years. However, while Charlotte tells a unique story in each poem there is an emotional detachment even though the images and story tackle harsh topics and delve into questions of mortality and loss. Charlotte’s poems about her deceased sisters, Anne and Emily, are more emotionally present, though the loss of Anne seems more substantial to her. The next set of poems are from Patrick Brontë. His poems weave a sense of loneliness, and not just a passing sadness and solitude, but a loneliness that weighs down the narrator. From “Memory,” “Winds have blown, but all unknown;/ Nothing could arouse a tone/ In that heart which like a stone/ Senselessly has lain.” to “Oh, All Our Cares,” “But here this lonely little spot,/ Retires among its trees,/ By all unknown and noticed not,/” there is an emptiness in Patrick’s poems that is deeper than that in expressed by his sisters. Camaraderie between the sisters must have been tough for a brother to penetrate, and to seek help from his sisters with his writing may have been a bridge he was unwilling to cross. Regardless, his poems are no more poignant and enlightening about the human condition than those of his sisters. Emily Brontë’s poetry is possibly the most well known of the siblings work, and her poems tend to be well crafted, adhering to style elements known for the forms she has chosen. Her rhyme schemes are cleaner than her siblings, but her style is often dense and fantastical. She blurs the lines between reality and a fantasy world she creates. In some ways, readers may find that her poems are hard to decipher if they get too bogged down in the details she throws into each line. Ere the setting of the sun. Her days shall pass like a pleasant dream in sweet tranquility. Her days shall pass like a mournful story in care and tears and pain. Her days shall pass in Glory’s light the world’s drear desert through. Anne Brontë’s poetry is more childlike in its reverie with nature and the memories and emotions those things can arouse in the narrator. Her poems are immediate and easy to comprehend; readers can connect with her more easily than her siblings’ poems. However, her poems do not differ from theirs in subject matter; she tackles not only loneliness, longing, and emptiness, but also happy moments encapsulated in time and memories. From “The Bluebell,” “Yet I recall, not long ago,/ A bright and sunny day:/ ‘Twas when I led a toilsome life/ So many leagues away.” (page 74), and from “The Captive Dove,” “Poor restless dove, I pity thee;/ And when I hear thy plaintive moan,/ I mourn for thy captivity,/ And in thy woes I forget mine own.” (page 80). Overall, The Brontës by Pamela Norris is an excellent selection of poems that displays the diversity of the Brontës and their similarities. Norris’ introduction can help readers understand the dynamics of the family, but the poems often speak for themselves about the depths of their loneliness and desolation. However, some members of the family were more desolate than others and others coped by relying on fantasy and memories of happier times. This is my 1st, and probably, only book for the 2010 All About the Brontës Challenge. This is my 60th book for the 2010 New Authors Reading Challenge. 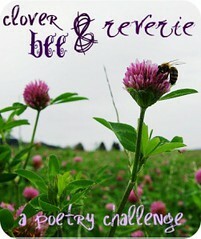 This is my 15th book for the Clover Bee & Reverie Poetry Challenge. I signed up for the All About Brontes Reading Challenge last year, and unfortunately, the deadline was June 30. I didn’t read any of these books or watch any of these movies. I will try to read or watch some of these during the rest of the year. Hooray for deadline extensions! Challenges Completed! Others Not so Much! I joined this challenge a bit late last year, but it ran from May 2009 through May 2010 (click on the image for more information). I completed the deep end of the challenge, which required me to read and review 11-15 books of contemporary poetry and poetics. See the books I reviewed here. 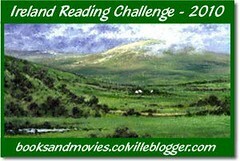 I joined the 2010 Ireland Reading Challenge (click on the image for more information) at the Shamrock Level for 2 books. Check out my book reviews here. I’ve completed this challenge by reading 3 books. Check them out here. I’ve read 34 out of 50 books for this challenge. Check them out here. I’ve read 3 out of 10 books for this challenge. Check them out here. I’ve read 5 out of 11 books for this challenge. Check them out here. I’ve read 9 out of 12 books for this challenge. Check them out here. I haven’t even started this challenge. It ends June 30 and you have to read, listen or watch between 3 and 6 items. I’ve read 4 out of 5 spinoffs/rewrites and 0 out of 6 Jane Austen originals. Check them out here. I’ve met the requirement to read 2 books of poetry, but I’m not sure I’ve finished a badge yet. I’ve read 5 contemporary poetry books, which I think qualifies for a badge. Check them out here. I’ve read 2 out of 6 vampire books from any series. Check them out here. I have not started this challenge either. I think this one is perpetual, so I may be good on this front. 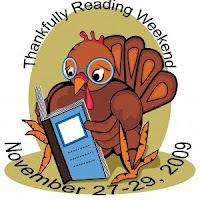 I’m participating all weekend Nov. 27-29, 2009, in the Thankfully Reading Weekend as well. 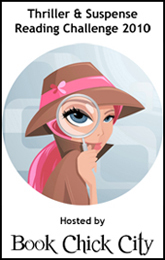 Check out the details at the Book Blog Social Club. It’s that time again to start thinking about some reading challenges. Anna and I at War Through the Generations are working on the announcement post for the 2010 Viet Nam Reading Challenge. I hope that you will all consider our challenge in the new year, since we had such a great time with the WWII Reading Challenge this year. 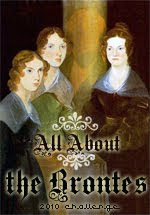 For the All About the Brontes Challenge, sponsored by Laura’s Reviews, you just need to commit to reading, watching, or listening to between 3 and 6 Bronte items (books, movies, audiobooks, etc.) between January 2010 and June 30, 2010. S. Krishna’s Books is hosting the South Asian Author Challenge, which given the swath of South Asian Books I’ve seen and those I’ve read, I’m going to commit to reading 3 books that qualify between January 2010 and December 2010. Please check out her list of South Asian Authors’ Books that qualify for the challenge and the breakdown of those authors by genre. Won’t you join the fun?! Next up is a challenge that is likely to be tough to finish for me, but I’m going to sign up anyway because I love the genre. 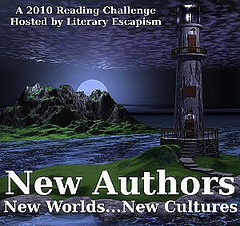 Book Chick City is hosting the Thriller & Suspense Reading Challenge 2010. The goal is to read 12 thriller/suspense books between January 2010 and December 2010. I haven’t preselected any books for this challenge. I think I’m going to pick these twelve books as I go along. I hope you’ll consider this great challenge too. Last, but not least. I’m jumping on this bandwagon late, but Regular Rumination is hosting the Valparaiso Poetry Review of contemporary Poets and Poetics. I’m going to dive into the deep end on this one, since I adore poetry. This means I have to read between 11 and 15 books between May 16, 2009 and May 16, 2010. I’m hoping that some of the poetry books I’ve read this year count for the challenge, which would be the following: (Click on the links for my reviews). If they don’t, I have my work cut out for me. I hope you’ll consider adding some poetry to your reading! 1. The challenge will run from January 1, 2010 through December 31, 2010. 2. Since this is an author challenge, there is no restriction on choosing your novels. They can definitely be from other challenges. However, the authors must be new to you and, preferably from novels. Anthologies are a great way to try someone new, but only a third of your new authors can be from anthologies. 3. I want this to be an easy challenge, so you can pick to do either 15, 25 or 50 new authors. It all depends on how fast you read and how adventurous you want to be. If you reach your goal halfway through the year, don’t stop. Any new author you try can be added to Mr. Linky. We all want to know about your new experience. 4. After reading your new author, write your review and then add your link to Mr. Linky. Make sure you include your name and the author. I don’t have a list ready for this challenge yet, but I think it will fill out throughout 2010 with all the challenges I’ve joined. I’m going to start with a small goal of 15 50 new-to-me authors. What challenges are you joining? FTC Disclosure: Clicking on certain book titles will bring you to my Amazon Affiliate Page; No purchase necessary.